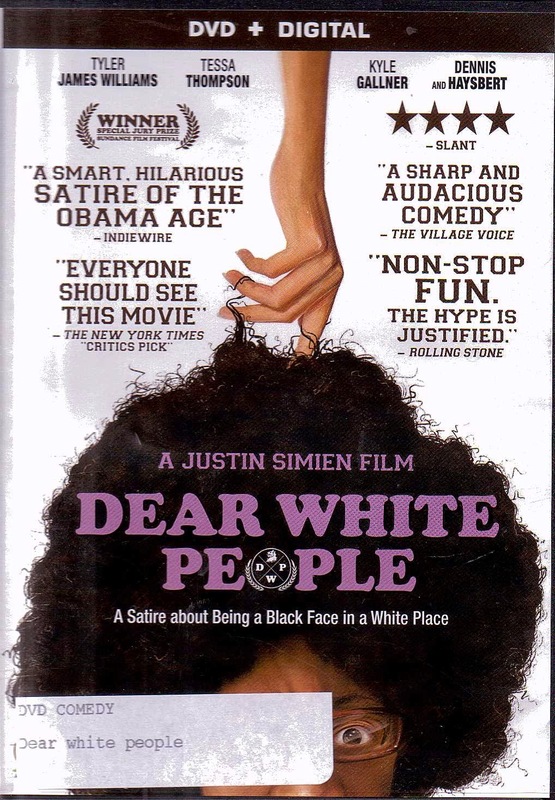 Hold on to your sides and check your political correctness at the door for this film as Director Justin Simien kicks out the stops in this wonderful piece of satire. He also wrote this original screenplay which depicts the interaction of four black students at an Ivy League in the age of Obama. And in doing so he highlights just how far we haven’t come in feeling comfortable about the issue of race; even in 2014, when this film was released. Thrown into the mix is the plight of Sam, who has finally become the first black president of his all black residential hall; only to discover that in an age of diversification it “don’t mean a thing.” The all black residence hall is on the way out. Fellow student Coco Conners has ideas for a student TV show called "Doing Time at an Ivy League." And, as if to sum up the mis-communication between the races in this age of instant communication, a student loner named Lionel Higgins is tapped by his fellow white students to join the school's all white newspaper to cover the controversy over the black face party. Being black automatically makes him an expert on the subject to his white peers, even though Lionel knows nothing about “Black culture”. This film is a fast paced and funny look at how far we probably haven’t come from the days of the TV show “Julia.” Comedian Godfrey Cambridge used to joke about the fact that when that show came on the air, each time he waited for an elevator a white person would ask him if he’d seen “Julia” that week. He usually said no. One week he decided to say yes and ask which part of the show the other man liked. The response was telling. He hadn’t watched it.